Reprint. Originally published: London: Chatto & Windus, 2018. ** Selected by 8 National Newspapers as a Book of the Year ** ** The New York Times Bestseller ** `A page-turner that succeeds both at character and ideas' Chimamanda Ngozi Adichie A warm and immersive novel about ambition, power, women, friendship and finding your place in the world, from the bestselling author of The Wife and The Interestings. Greer Kadetsky is a shy college student when she meets the person who will change her life. Faith Frank, an influential and glamorous figure from the women's movement, inhabits a very different world to Greer's. But after a chance encounter Faith singles Greer out and invites her into her life, leading her down a thrilling path as it winds towards and away from her meant-to-be love story with high school sweetheart Cory and the future she had always imagined. 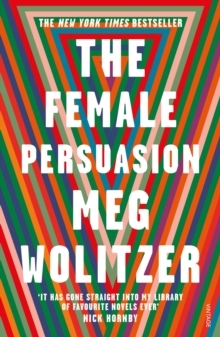 Expansive and wise, compassionate and witty, The Female Persuasion is about the spark we all believe is flickering inside us, waiting to be seen and fanned by the right person at the right time.